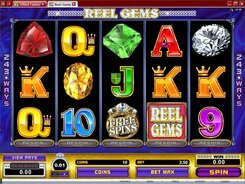 This is a Microgaming-powered fruit machine featuring 3 reels and a single payline. 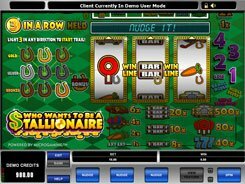 The theme of the slot is centered around money, wealth and, surprisingly, a horse depicted sitting in a chair with golden horseshoes, wearing a posh suit and smoking a cigar. 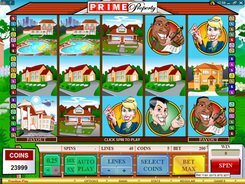 A bet is adjusted from $0.1 to $10 per spin, and the top jackpot prize reaches $5000. The symbols set includes classic sevens and bars as well as themed cigars, cars, golf accessories, etc. 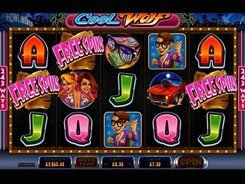 The slot features randomly triggered Nudges and Holds that can help you build up a winning combination. When spinning the reels, you will sometimes see small horseshoes that are attached to regular symbols. Each horseshoe occurring on the reels adds to the grid displayed to the left of the reels. 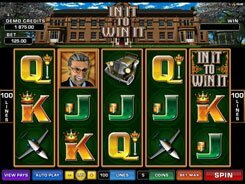 As soon as you collect three horseshoes, you unlock the Lucky Shoe Bonus played on the second screen. 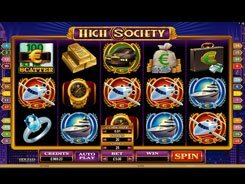 In the bonus feature you will move around the board collecting prizes and bonuses such as Nosebag, Non-Starter, Win Some Wedge, Gift Horse, and much more to take advantage of. PLAY FOR REAL MONEY!